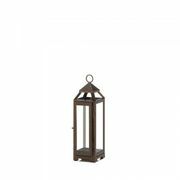 Copper Lantern Small 13" h.
Home > Candles and Holders > Candleholders > Candle Lanterns For Pillar, Votive, Tealights > Copper Lantern Small 13" h.
Perfect for rustic dcor, this small copper lantern will add a charming look to your indoor or outdoor space. 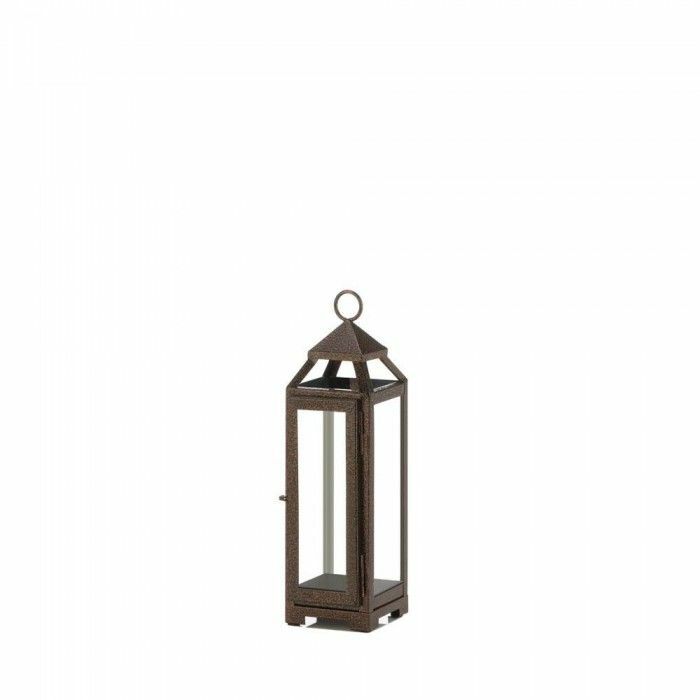 This lantern is made with an iron frame in a speckled copper finish and encased with glass window panes. Place a pillar candle inside to illuminate your space in a soft and cozy glow. 3.5" x 4" x 13"